In 2014, Tradeshows And Displays merged with Plum Grove Printers (founded in 1980), a Top 100 business printer based in Hoffman Estates, Illinois. Specializing in direct-mail marketing, promotional products, printed marketing materials, signage and point-of-sale graphics, Plum Grove + Tradeshows And Displays now offers clients total trade show preparedness. 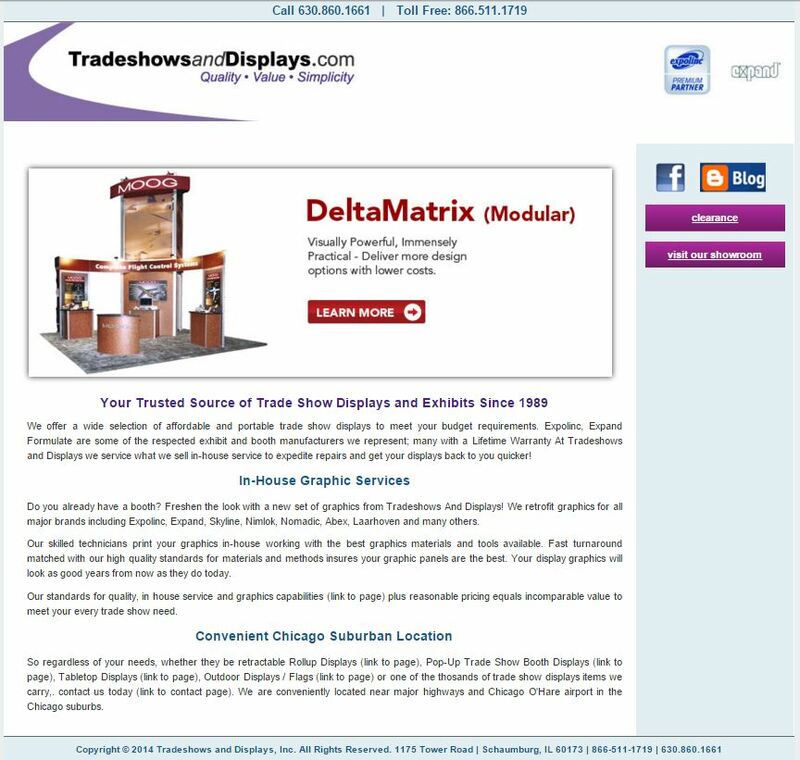 The goal of Tradeshows And Displays website is to provide useful information about their products and services to potential clients as well as leads generation via forms and phone calls. The existing website was developed using old technology and the design was not mobile friendly. The previous web design had become out of date and the client wanted a modern user friendly design so visitors can better navigate the website and find the products they need as well as submit a form request for a quote. The new web design was launched in October 2015 and showed improved results in the first month of going live. 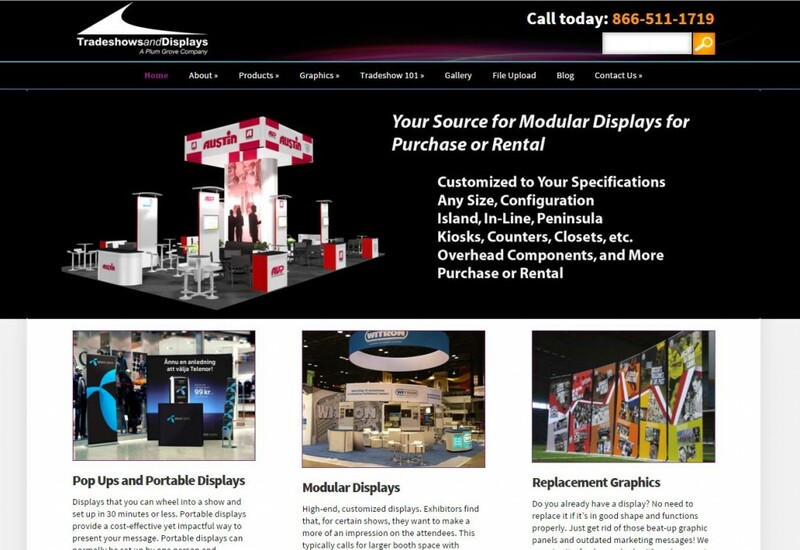 “Our new website – www.TradeshowsAndDisplays.com – ROCKS! The site looks amazing, with attractive graphics, plenty of solid copy and easy navigation. The Content Management System is easy to use. And, most importantly, our leads and conversion rate has soared! Our internal marketing team is now able to add content, photos, videos, press releases and much more – and that is helping us to help you to get us onto Page 1 on web searches for our keywords. We anticipate that with the help of Proceed Innovative we will hit a sales record for 2015 for our Tradeshows And Displays division.